➢ “Those familiar with Anderson’s films should know what to expect here: a diverse and object-filled canvas that will occupy every inch of your television screen. Wes Anderson’s live-action films have a ‘fairy tale’ look to them with the candy coloured pastel architecture, prim and proper costumes and everything in between. Granted, the locale is a bit different here, but many of the same elements are in place. I wasn’t able to find any errors, compression elements or anything that might have detracted from the on screen beauty.” — DVD Authority. 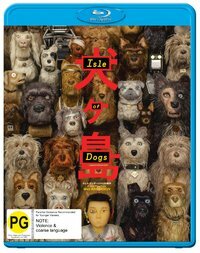 ➢ “Isle of Dogs is presented on Blu-ray courtesy of 20th Century Fox Home Entertainment with an AVC encoded 1080p transfer in 2.39:1. … This is another spectacular looking Anderson effort released by Fox, one with abundant levels of fine detail throughout the proceedings, and a really charmingly varied palette that offers a glut of burnished tones perhaps surprisingly in what can often otherwise be fairly dowdy looking brown and gray territories, along with bright flashes of almost crimson reds and cooler blues and yellows.” — Blu-ray.com. 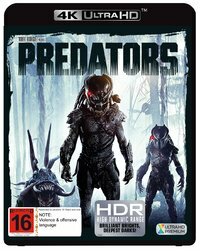 ➢ “The film arrives on Blu-ray in a solid AVC 1080p encodement from Universal free from noise, colour banding, or any obvious edge enhancement. Detail is crisp, and the colors look vibrant. The shadows and blacks look inky without crush and white levels are bright without clipping.” — TheaterByte. ➢ “This is a very brightly lit comedy, and the 1080p transfer captures the popping colours and that clean digital look fairly well. 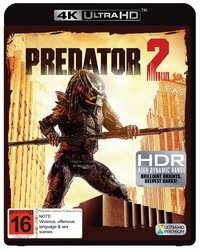 Don’t expect spectacular cinematography or a demo disc material here, but it gets the job done.” — DVD Talk. ➢ “I was surprised that there is no UHD of this 2018 production, but I also didn’t feel the movie was lacking without it. What we have here is wonderfully presented, with spot on detail despite the many dark sequences both outdoors and in badly lit interiors. No artifacts, ringing or other distractions ever showed up. Could it be slightly better with a HDR pass? Maybe but it’s fine as is.” — Home Theater Forum. ➢ “The verdict? Watch-and-forget. Universal’s Blu-ray does offer good video and engaging audio. A few supplements are tossed in for good measure. Genre fans should check it out but probably only as a rental.” — Blu-ray.com. ➢ “The X-Files – Season 11 enjoys a very good presentation courtesy of its modern production design and shoot, afforded the gloss it never had in its early days, which at least leaves us with visuals that impress … It’s a solid presentation, with a little grain around the edges, but a consistently shiny production otherwise.” — AVForums. 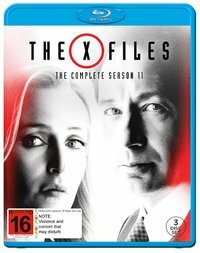 ➢ “The Blu-ray edition of Season 11 is packed with over two hours of never-before-seen extra content. Alongside audio commentaries on selected episode there are several in-depth featurettes that take you through the world of The X-Files.” — Entertainment Focus. 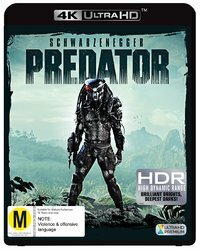 ➢ Reviews have yet to be published for these new transfers, which are releasing here a week ahead of the US to stoke interest in Shane Black’s The Predator (opens theatrically on September 13). The Isle of Dogs BD is superb. Good story, great visuals, excellent sound. Fox continues to release good sounding discs, a feat that eludes Disney, whose last 4-5 Marvel films have sounded awful.